Gluten intolerance is a condition that makes you react after taking gluten. Its symptoms include fatigue, joint pains, depression, and gastrointestinal problems. Gluten is present in wheat products, like cereals, bread, and pasta. Other grains that contain gluten are rye and barley. Consumption of gluten-containing foods and beverages is the primary cause of gluten intolerance. Celiac disease is among the most severe gluten intolerance diseases, and it is classified as an autoimmune disease. It causes complications to the small intestine. If you’ve celiac disease and you consume gluten, it triggers an abnormal immune response, which directly attacks the intestines. Moreover, this damage can significantly minimize the ability of the body to properly absorb nutrients. It can even result in long-term health complications if not treated properly. Those who’re sensitive to gluten usually find that symptoms disappear after eliminating gluten from their diet. One study linked fatigue and exhaustion to gluten intolerance. This relation is attributed to inflammation and the de-allocation of your body’s energy reserves. 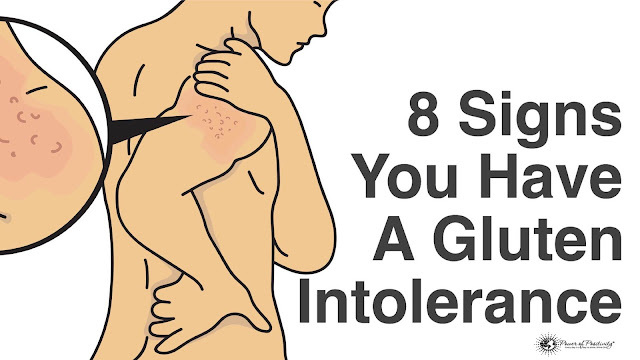 Those with gluten intolerance experience various skin problems, like eczema, acne, and DH (dermatitis herpetiformis). Other symptoms include redness, rashes, blistering, itchiness, and burning. One study published by the Arthritis Foundation linked gluten sensitivity to joint pain and inflammation. This can be among the most enigmatic symptoms, just because it can be caused by a number of factors. Nonetheless, it is a commonly cited symptom of individuals suffering from celiac disease and gluten intolerance. IgA antibodies, found in the digestive tract and saliva, are the ones that safeguard the body from flu, colds, and other diseases. Likewise, they have an effect on the immune system function. Thus, you’ll develop these disease when the IgA antibodies counteract with your immune system. One study revealed that those who’ve gluten intolerance are more prone to migraines. Gluten intolerance can also be manifested by canker sores and ulcers in the mouth. Those with gluten intolerance have lower levels of calcium, an essential mineral for teeth health. These can be attributed gut permeability and mal-absorption. If you eliminate gluten from your diet when you have gluten intolerance, you’ll manage to restore your healthy weight.